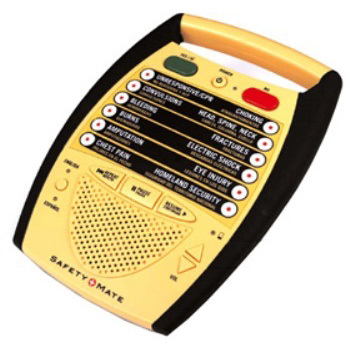 SafetyMate®, Emergency Information Device and Trainer, is an innovative approach to obtaining life-saving information about how to help a victim in an actual emergency. SafetyMate contains a complex network of “decision trees,” formulated from internationally accepted Emergency Cardiovascular Care (ECC) and First Aid guidelines and verbally reminds user of information learned during training at the touch of a button. 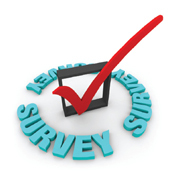 The information is delivered in simple format and in order of priority by interacting with user asking yes/no questions. Trainers are bundling SafetyMate as part of their total training package, offering their clients an effective tool to take home or keep at their business to refresh critical information learned in class. Offering SafetyMate’s innovative technology sets AHA trainers apart and creates added revenue to their bottom line. Businesses use SafetyMate as a way to standardize their procedure for how their employees handle medical emergencies every time. SafetyMate solidifies for businesses the life-saving information about what their employees learned in training.